Peppered Glazed Pecans - you'll want to double the recipe - they go fast! Pecans coated in brown sugar, butter, corn syrup, pepper and salt. Great for snacking on at holiday parties! Also makes a great homemade gift! Everyone LOVES this easy snack recipe! This recipe is from my friend, Mary. Mary gave these pecans to me as a Christmas gift last year. O-M-G! These are dangerously good!! I had to text her for the recipe. I told her I couldn't stop eating them and didn't think there would be any for Chicken Legs to sample that night. Mary gladly sent over the recipe. 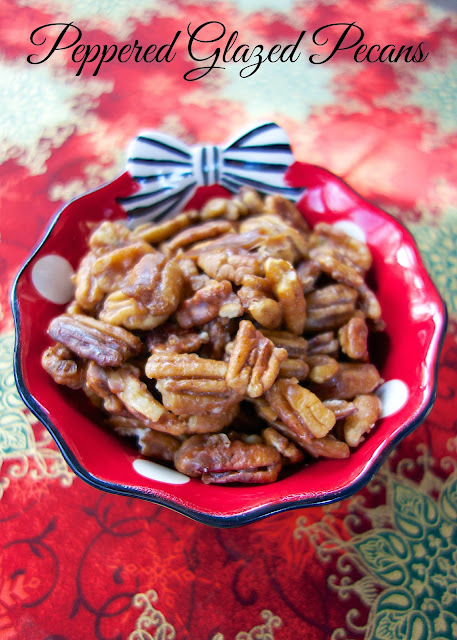 The pecans are very simple to make. I've made them several times. They are great for homemade gifts, parties and snacking. You might want to double or triple the recipe. They go fast! 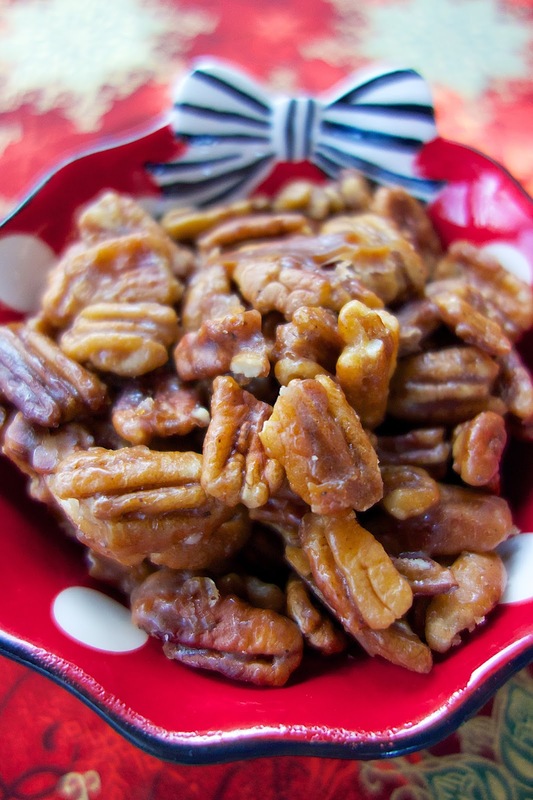 Spread pecans in a single layer on parchment paper. Cool completely. Hey Stephanie, Is this supposes to be 2 tbsp butter instead of 2 tsp ? Mine didn't turn out and the brown sugar and syrup hardened before coating pecans. What did I do wrong? you may have cooked it too long or over too high of heat. I use just shy of a tablespoon of butter. Are the pecans used in this recipe raw or roasted??? I used raw - enjoy!